Patricia, by Bowen Holden (ex-Seven Seeds) and Pip Heath, feels a world away from the looming collection of corporate office towers nearby. It's named after the duo's respective grandmothers. 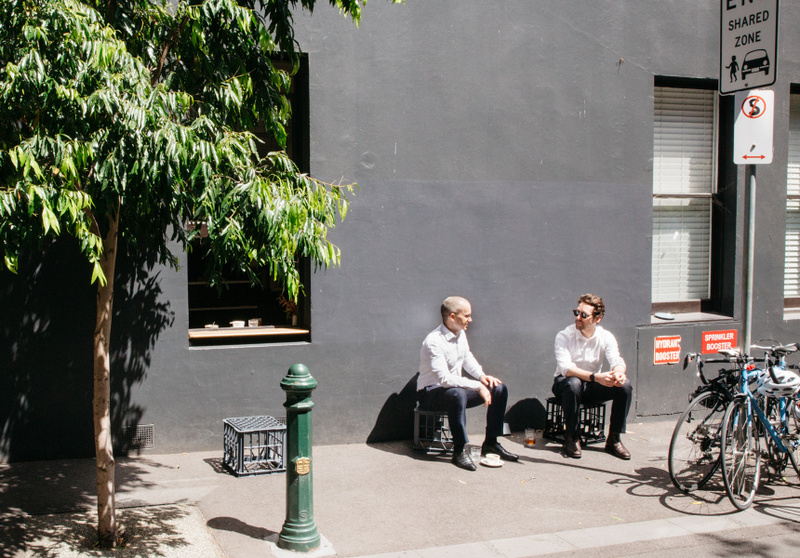 The charmingly small space takes coffee culture in both old and new directions. 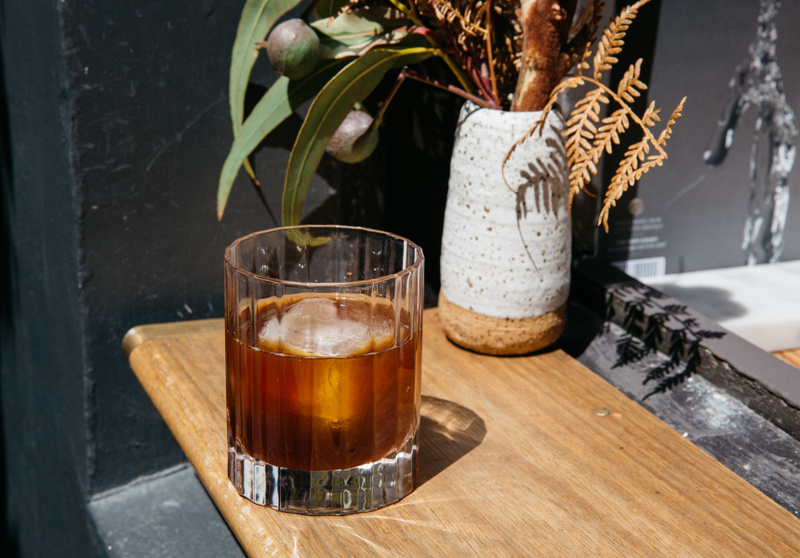 It’s one part throwback to traditional European coffee bars, one part contemporary Melbourne coffee scene. It’s not the kind of place you’d stay for hours on end to read the paper and have a late breakfast. But if you need one thing and one thing only (an outstanding coffee), this is the place to find it. Straight-up, black, white or filter coffee is on offer, all roasted by Patricia at Bureaux Collective and brewed exactingly. There’s a small selection of pastries available too, but nothing substantial enough to detract from the coffee menu. 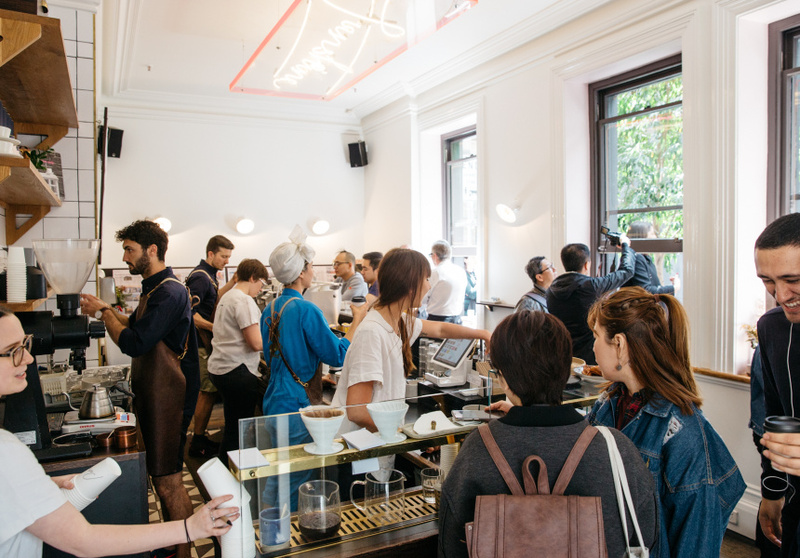 The team knows its stuff inside out, happily sharing its love of coffee with customers. Even during the busiest times, the atmosphere remains relaxed. The space, by Foolscap in conjunction with Beyond the Pixels (which also designed the identity and packaging), is sharp and slick with clean lines, white walls, flowers on the windowsills, a very neat tiled entrance plate (that reads: Standing Room Only) and a neon light ceiling installation feature.